Now that Mr. Donald J Trump will be the next President of the United States from January 20, 2017, what will be his approach to the Tibetan issue. While certain issues were highlighted during the election campaign, we are yet to get a clear picture of his stand on China (other than on matters of trade) as well as on the issue of Tibet. President Bill Clinton had called China a strategic partner; President George W. Bush said China was more of a strategic competitor. During President Obama’s time, China directly expressed its desire that its relations with the United States be recognized as being a “new type of major power relations”. The Obama Administration has not done this; rather it has done a pivot or rebalancing to Asia where relations with countries around China were strengthened, or efforts made towards that direction. No matter what their positions were on China, all these presidents had a common approach towards the Tibetan issue; they were all very cognizant of the pragmatic and positive role of H.H. the Dalai Lama, met him in the White House, and supported his endeavor on Tibet. President-elect Trump is an unknown entity as far as Tibet is concerned. Many of his staff might also end up being from a category that, like him, did not have any direct dealings on matters of Tibet. 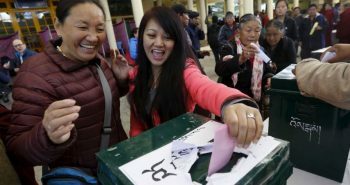 Two things that will guide them is the existing legislation on Tibet and the precedence set by the presidents before Mr. Trump. The staff of the Trump Transition team assigned to the White House and the State Department should read the Tibetan Policy Act of 2002, a bipartisan legislation passed in 2003 to provide guidance to the Administration on matters relating to Tibet. There is a strong bipartisan support to the Dalai Lama and the issue of Tibet in the Congress. Most recently this was seen during the Dalai Lama’s visit to Capitol Hill in June 2016, when he was received by the leadership. The members of Congress, both Republicans and Democrats, who are deeply supportive of the Dalai Lama and Tibet will continue to be active. Therefore, the new Trump Administration will do well to bear this in mind. Therefore, while we may not be aware of the position on Tibet of Mr. Donald J. Trump the individual, U.S. legislations and precedence set by previous presidents are clear guidelines on President Donald Trump’s position on Tibet. 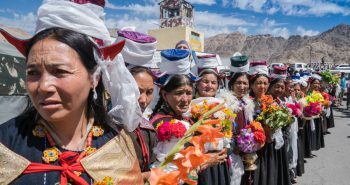 Previous postWhy does Tibet matter in the discourse on the democratization of China? Bhuchung K. Tsering joined the International Campaign for Tibet in Washington, D.C. in 1995 and is currently the Vice President. 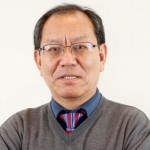 He worked as a journalist with Indian Express in New Delhi, and as an official of the Central Tibetan Administration (CTA) in Dharamsala, India, before joining ICT. He is a member of the Task Force set up by the Central Tibetan Administration to work on issues relating to the dialogue process with the Chinese leadership. He was also a member of the team led by the envoys of H.H. the Dalai Lama in the discussions that they had with the Chinese leadership between 2002 and 2010. He has contributed articles on Tibet and related issues to Indian, Nepalese, Tibetan, Swiss and American journals. He has also testified in Congress on behalf of the International Campaign for Tibet and spoken at Universities and Think Tanks. Bhuchung K Tsering is an authority both in terms of intellectuality and experience. In this short piece he has clearly mentioned about Trump’s uncertainty on Tibet issue. Thanks to Tibet policy Act of 2002 and other precedents which i hope the President-Elect would touch upon when dealing with Tibet issue vis-a-vis China. Trump is practically a businessman, he lack both political and military experience in dealing with any international issues. He must be surrounded by specialist in dealing with human rights and other tricky diplomatic challenges. Else, he is man who does what he thinks or say regardless of consequences. Well, either way Trump can’t really do any worse for Tibet. Bush and Obama certainly didn’t make much impact – actually, I’ll rephrase that, they didn’t make a scrap of difference. It would be so easy for the States to put pressure on China. We all could if we put our minds to it, stop buying goods made in China, it worked with S.A and apartheid it can work with China too. FREE TIBET NOW!! President Elect Donald Trump has already made a move towards China and Taiwan. Let us just wait and see what will he do in case of Tibet and Dalai Lama.